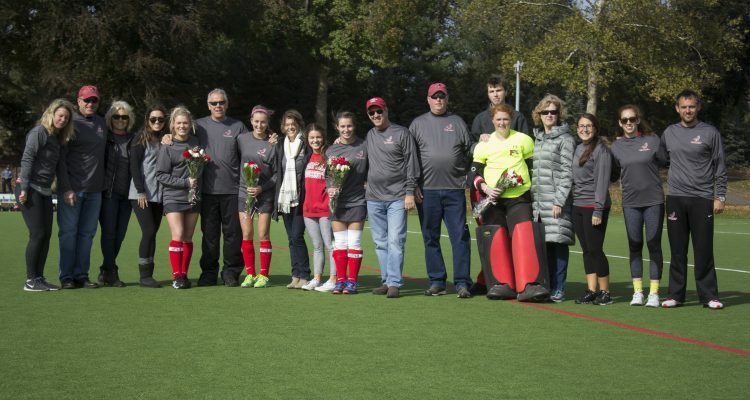 On a day when this year’s senior class played its final home game of their careers, the Stags took care of business one final time with a dominating performance over LIU Brooklyn, picking up a 10-0 victory on Oct. 29. If you didn’t know it was Senior Day, all you had to do was look at the stat sheet as it was highlighted by the seniors’ performances. All four members of the senior class had a major contribution to Saturday’s victory. Senior Julie de Paeuw finished the game with a goal, while assisting on three goals. Seniors Maclaine Matties and Ann Burgoyne both added a goal on the game as Burgoyne also finished with two assists. Last but not least, Caitlin Bennett ‘17 finished the game with a total of three saves en route of a shutout, as the Black Birds failed to convert for a goal. The Stags started the game scoring two goals in the first three minutes of the game. The first came from the stick of Sam Giordano ‘19 as she received a pass from Jamie Appelberg ‘18. 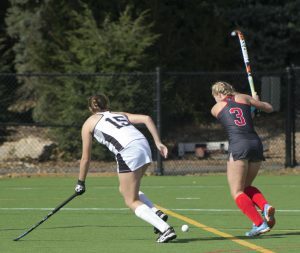 The play allowed Giordano to score her first career goal as a Stag. Graduate student Hannah Pike finished Saturday’s game with a goal. One play after assisting on a goal, Appelberg scored a goal of her own after converting a cross from graduate student, Hannah Pike. Just like that, the Stags had an early lead, up by two, with plenty of hockey left to play. The Blackbirds, a first-year program composed of all freshmen, definitely had a tough obstacle to overcome as the Stags offense would not let up for the rest of the game. Sophomore Emma Clark would get her name on the board by scoring two consecutive goals, both coming off assists from de Paeuw, giving the Stags a 4-0 advantage early in the first half. Pike would then add another with less than 15 minutes left on the half as the Stags led at the half, 5-0. 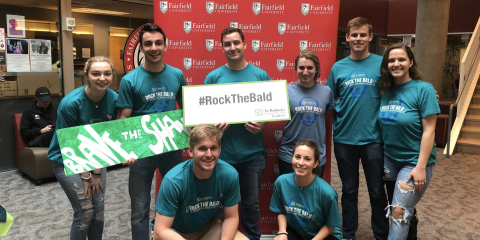 Fairfield’s scoring did not stop as they carried the momentum from the first half, adding five more goals in the second half of the game. Just four minutes into the start of second half play, Matties knocked down a shot off a penalty corner. Burgoyne joined the party as she converted on a goal after receiving a pass from Jaclyn Gallagher ‘18. Just a minute after Burgoyne’s goal, de Paeuw joined the club as she was the last of the seniors to score, knocking in a goal and pushing the Stags advantage up to eight. 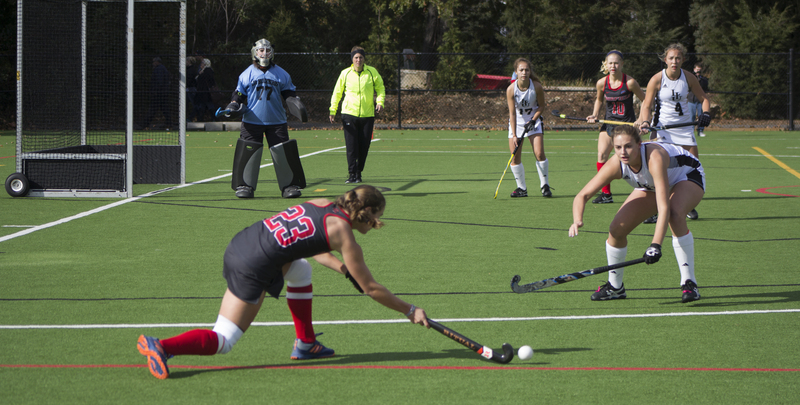 Senior Captain Ann Burgoyne knocked in a goal while assisting on two goals. After knocking down two goals earlier in the game, Clark struck again to finish the hat trick, knocking in her third goal of the game. 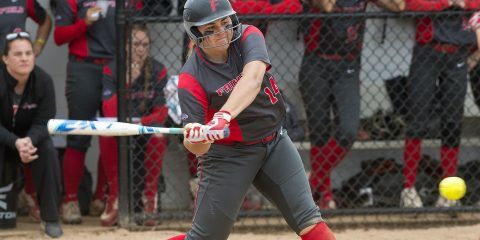 “It’s exciting to contribute that much to our team’s win especially as an underclassmen; it’s a good feeling,” said Clark of her contributions. The Stags final goal would come off the stick of Maddi Haberl ‘19 as she knocked in a pass from Burgoyne to give the Stags the 10-0 lead. Following the victory against the Blackbirds, the Stags have won two in a row and four of their last five games. The Metro Atlantic Athletic Conference Championships start on Friday and the Stags look to defend their crown as they await their opponent for the semifinals, hoping to get to that championship game on Sunday.